An aging author has much to contend with, not the least of which is finding a pen that can go the distance in Boomer hands that whine of arthritis when it rains or when you spend too much time on the bike and your hands go numb for several hours. Computer keyboards are a godsend in such situations but there are times when only a pen will do. A computer connects my brain to my writing while a pen connects my heart to my writing. 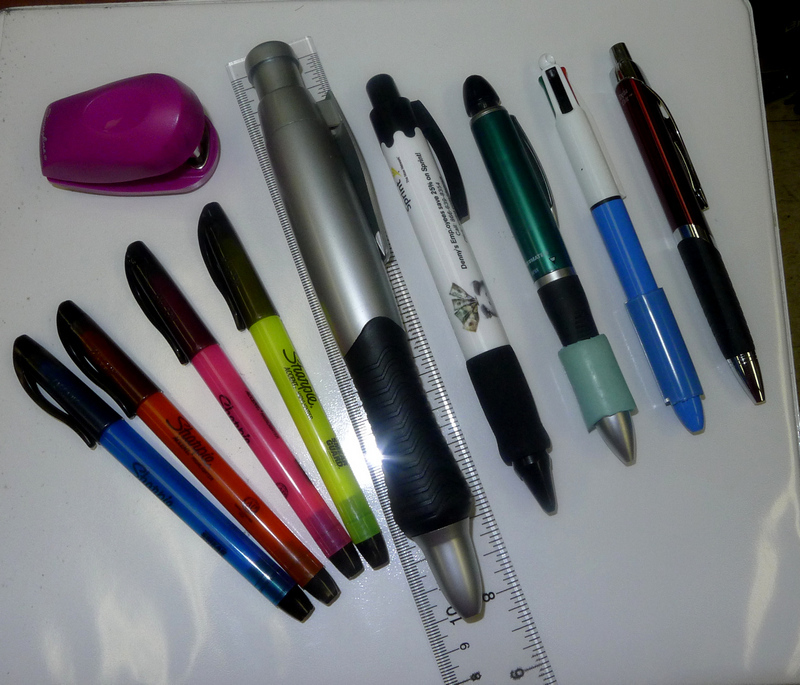 I say, the bigger and the fatter, the better when it comes to needing to hold a pen for extended periods of time. On really BAD days when my thumbs don’t function at all, I resort to the 8 inch pen in the middle. That sucker is 8 inches long and I don’t have a clue where I will ever find a refill for it. To the right of the big honker are pens in various stages of extra adornment of padding I’ve added from the little guy on the end up to the spongy black and white number that I stole from a Denny’s restaurant waiter named D’ante. In return, I promised to name a character after him. 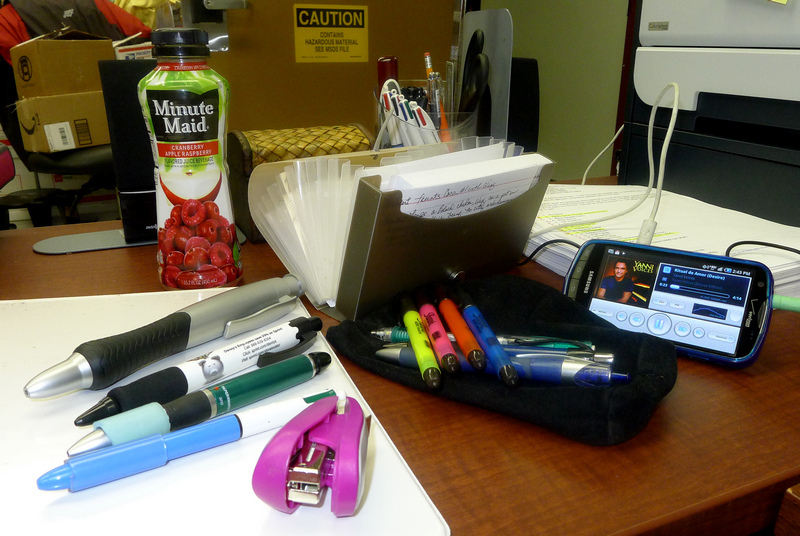 And what of the brightly-colored highlighters on the left? They are used sparingly and serve mainly as a squad of bouncy cheerleaders who underscore the moments when a creative spark comes in for a landing in my writing. They are curved and rounded naturally and need no extra padding for the little work they do. So remember, size DOES matter in many instances, especially in the hands of a Boomer who is trying to write a novel. Five years ago when I decided to go GREEN and give up my car for a bicycle, the biggest problem was no longer being able to carry all the accoutrements of writing with me at all times. There is only so much room in even the largest of bicycle panniers and priority has to be given to rain gear, bottled water, CO2 cartridges in case of a flat tire, spare bungee cords, wallet, and emergency ID tags. Even if there had been room for the laptop computer, notebooks, journal, maps, GPS, big honker DSLR camera, smaller portable camera, tripod, spare lenses, and three different novels that I was reading simultaneously, the panniers would have been so heavy I wouldn’t have been able to lift it onto the bike or drag it into a restaurant or lug it around while shopping. Something, actually many things would have to go. Through trial and error, I jettisoned things, added them back, threw them out again, and then finally settled on a collection of items that made it possible, at the drop of a bicycle helmet, to be knee deep in writing. Enter the beloved index cards. I am certain that index cards were invented with me in mind. I’m also certain that I could solve world hunger and balance the U.S. budget if I only had enough index cards and brightly colored pens. The deal was sealed when I found a coupon holder at Target for a mere $4.48 that neatly held 200 4X6 index cards. That was enough to cover my projected 85 novel scenes and their rewrites as well as an ample amount for character notes and new ideas. Okay, okay. Relax. So it’s not Steinbeck. Yet. Just give me enough index cards and enough colored pens and some Yanni plugged into my ears and it will be. 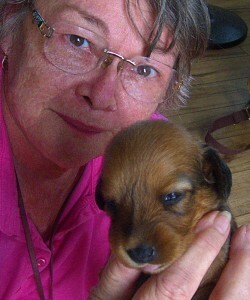 Instead of working on my novel today, I went to Maryland and bought a Dachshund puppy. She’s only 3 weeks old today and will come home with me in 4 weeks. She will be the namesake for the Zoe Project where I will be placing free Dachshund puppies with elderly residents in Newark, Delaware who normally could neither afford to buy a puppy nor take care of them (vet visits, training, bathing, etc) by themselves. It is something I’ve always planned to do when I turned 65 and the day is here. 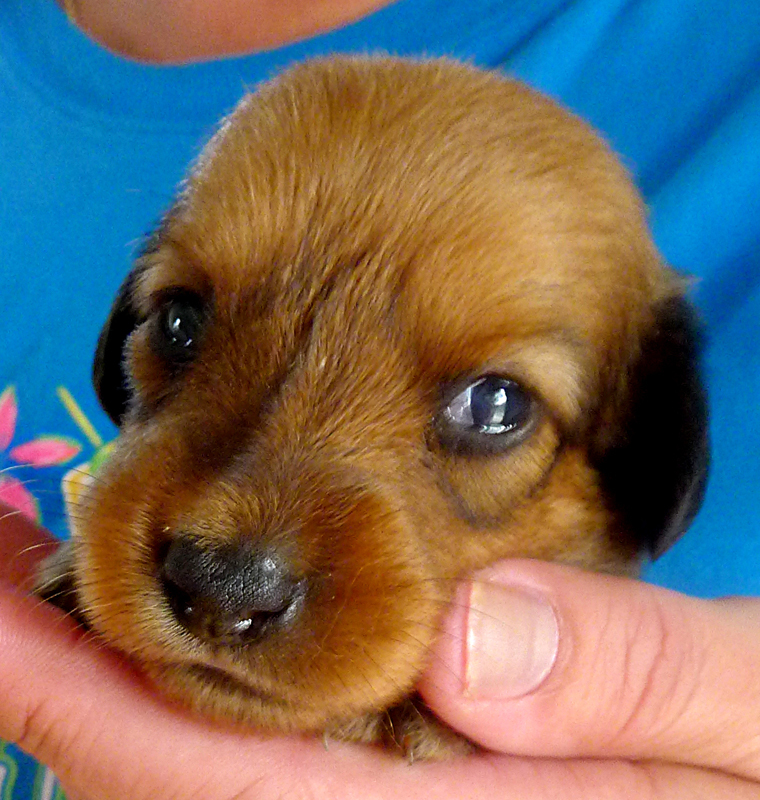 I’ll be going back to the Dachshund breeder in a year to buy a male English Cream Dachshund from another blood line to sire her puppies. I will be getting my 2 cousins (ages 8 and 12) to help with the project through their 4H program and the Delaware Division for the Aging. Can you imagine? Kids, puppies, and seniors! What an experience that will be.